Vitamin F Blend, the Essential Fx collection targets deep wrinkles, creases and crepiness (thin, wrinkly skin). 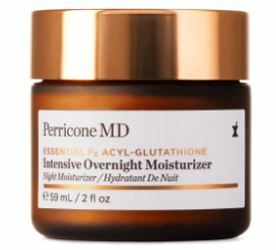 The properties of Acyl-Glutathione make it easily absorbed by the skin, replenishing the complexion’s essential building blocks to leave it more supple, even-toned, and radiant. Beautifully nourishing with visible results, the Vitamin F Blend combines flaxseed, chia seed and macadamia seed oil to restore moisture and suppleness. Luxuriously silky and fast absorbing, this serum targets stubborn lines and wrinkles around the mouth, eyes, lips and forehead. A new weapon against marionette lines, frown lines, smile lines and nasolabial folds, the intensely hydrating formula utilises Acyl-Glutathione to attack deep wrinkles and creases, and a Vitamin F Blend to rebuild suppleness. · Acyl-Glutathione protects and replenishes the skin, relaxing even the deepest wrinkles and creases. Tips: Massage onto a clean face and neck using a gentle upward motion. 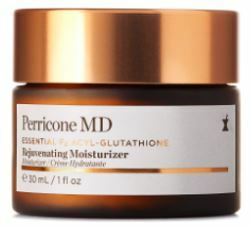 Wait until it’s fully absorbed and follow with your favourite Perricone MD moisturiser. Use morning and evening. 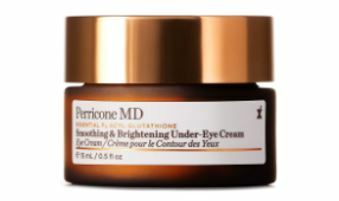 This decadent eye cream that melts into the skin instantly softens the appearance of dark circles, lines and wrinkles. Formulated with wrinkle-fighting Acyl-Glutathione and an ultra-hydrating Vitamin F Blend, it intensely nourishes to strengthen and visibly replenish the skin’s moisture barrier, leaving the eye area smoother, brighter and firmer. · The potent balm-like cream protects and replenishes the fragile skin around the eyes. Tips: Gently pat around the eye area using your ring finger, avoiding contact with your eyes. Use morning and evening. Visibly smooth eyelid creases and crepiness with this lightweight serum with a fluid, fast-absorbing texture. It works quickly to replenish the skin’s natural moisture barrier, creating a smooth surface and noticeably lifting the look of sagging lids while diminishing the appearance of under-eye circles. · The tightening serum creates a more even-textured surface for longer lasting eye makeup. Packed with nutrients and deeply nourishing, this velvety moisturiser strengthens and replenishes the skin’s natural moisture barrier to plump, firm, lift and smooth. It’s formulated with Acyl-Glutathione to visibly reduce deep wrinkles and creases, while a Vitamin F Blend delivers optimal nourishment to dry, tight skin. · The rich, velvety texture absorbs quickly without residual grease or stickiness, and acts as a shield against environmental aggressors. Tips: Massage onto a cleansed face and neck using a gentle upward motion. 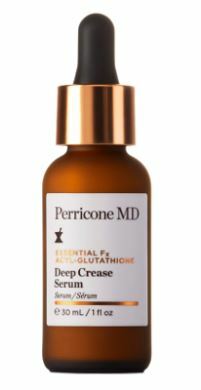 For best results, apply after your favourite Perricone MD serum, serum concentrate or facial cream. Use morning and evening. A velvety-rich, intensely moisturising overnight treatment, this night cream combines Acyl-Glutathione and a Vitamin F Blend to soften, smooth and firm the face and jowl area. Time-released nutrition delivers nourishment throughout the night, resurfacing the skin, relaxing the appearance of expression lines, and dramatically improving elasticity. · A Vitamin F Blend visibly restores suppleness to minimise imperfections and impart a beautiful radiance. Tips: Massage onto a cleansed face and neck in the evening using a gentle upward motion. 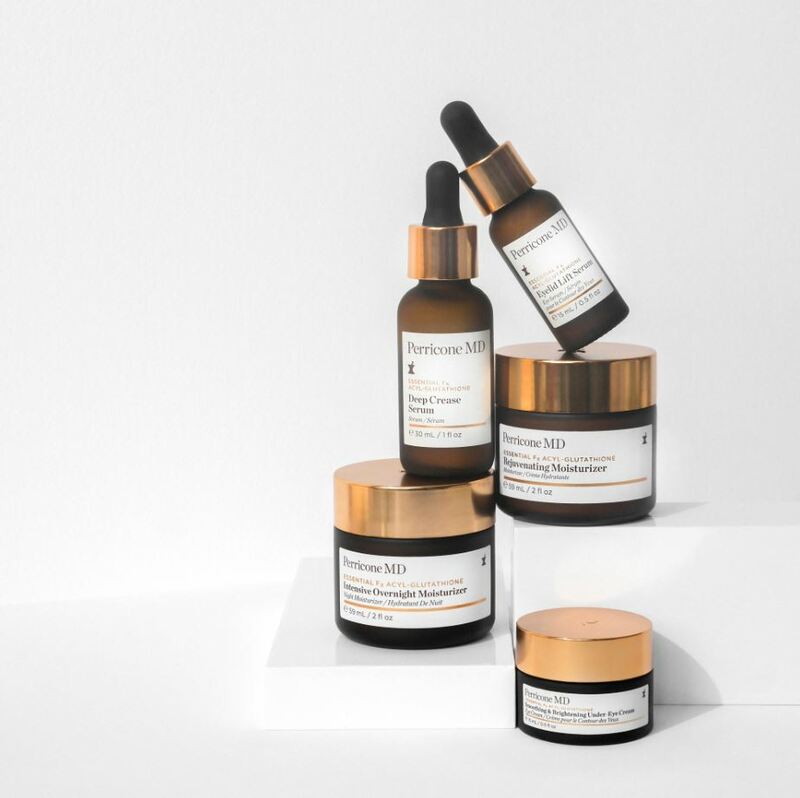 For best results, apply after your favourite Perricone MD serum or serum concentrate.